Fractioni (Hongkong) Ltd., was founded in 1999 on the ideal of connecting mature USA and European industrial markets with the booming Asian industrial market. Started out in Cleveland, Ohio, USA. We have many years of working experience in industrial market, we are ready to help your industrial/automation needs. We specialize in sourcing quality industrial parts at a low cost in Asia and pass that saving directly to you. We have thousands of quality industrial parts available from our warehouses in USA, Taiwan, Hong Kong, and China. We have at least 10 units each for all products listed in store. If we don't have the quantity you need when you order, we can get all the parts in 1-2 days. Let us work for you, be your purchasing agent in Asia. Besides our warehouse stocks, we also have hundreds of sourcing connections in Asia. We have experienced industrial automation experts ready to help you into the untapped Asian sourcing market. For replacement products like cables, batteries... they are clearly stated in the product description. All other products are 100% GENUINE, New In Box, Factory Sealed, direct from the original manufacturers or authorized distributors, guaranteed! NOT COPY/REBUILD/RENEW/REFURBISH PRODUCTS! No Risk, guaranteed! Recently, we have many old customers come back to us after some periods of absence. Many of these customers started doing business with us for a long time, and then switched to some of our competitors in China. Lured away by very attractive price. Its understandable, it's a free market after all. However, they ended up getting unreliable products, like the rebuild/renew. In the long run, they lost their customer or build defective machine. The Rebuild/Renew/Refurbish Disguised As New is becoming a big industry and problem in China. All the major brands encounter this issue here. The purpose of this email is to educate and inform our customers so they don’t repeat some of these mistakes. Products that got pull off an old machine, with only electronic/CPU are original. Then repackaged with fake cover, label, box. These products work, but only for few months or a year. Some dedicated to buy and pull old products off machines. Some dedicated to make labels and box. Some dedicated to put assemble and test product. They would sell these at 10-30% off the lowest possible original product pricing. Their actual margin is about 80-90% on these units. Some of them mix the products when selling. 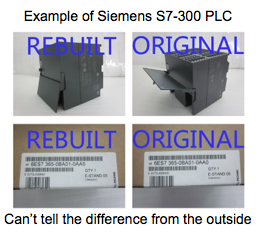 For example, in the 10 PLCs they provide, maybe 5 of them are original and 5 of them are rebuilds. Some of them sell original at the beginning to a customer and switch to rebuild ones later. In some cases, it’s easy to spot the rebuild products. If a product has been discontinued for years, there is no way supplier should have tons of stocks. They are ALL rebuilds. Mitsubishi AJ Series for example. In some cases, it’s harder to know. Everything on the surface looks good and the product has not been discontinued. Only carefully checking the electronic board inside you can spot the rebuilds. During the past year, we see these kinds of cases increased. Even we are surprised to the recent extent and rate of new rebuild products. We just want to warn our customer so they be more careful and not lose their own clients and reputation because of this. According to the news, Chinese police recently confiscated a warehouse in the city of Shenzhen and found worth over $200M counterfit automation products such as PLC, HMI, Inverter Drive. This is just a tip of the iceberg, there are many more unethnical sellers and suppliers here. Of course, not everything they sell are fake/copy/rebuild. But are you going to take the chance and ruin your hard earned reputation? We are proud to announce that we were just picked by Paypal to be one of their official trusted Paypal suppliers. We are the only one in the automation suppliers market from China. Buy with confidence! This is the result of years of trust from our customers, that is our number one priority and it paid off. We only source direct from manufacturers themselves or authorized distributors. One of our services is to be the Gate Keeper for our clients, we don’t sources from untrusted suppliers. We are an American own and operated business. Our main sourcing channels are in China. We been in this factory/process business automation business for 15 years now. 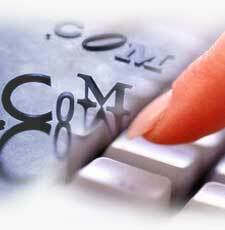 We provide cost saving for our customers on some products. We WILL NOT compete or sell rebuild products. If rebuild is what you are looking for, please look somewhere else. Your Trusted International Automation Supplier!